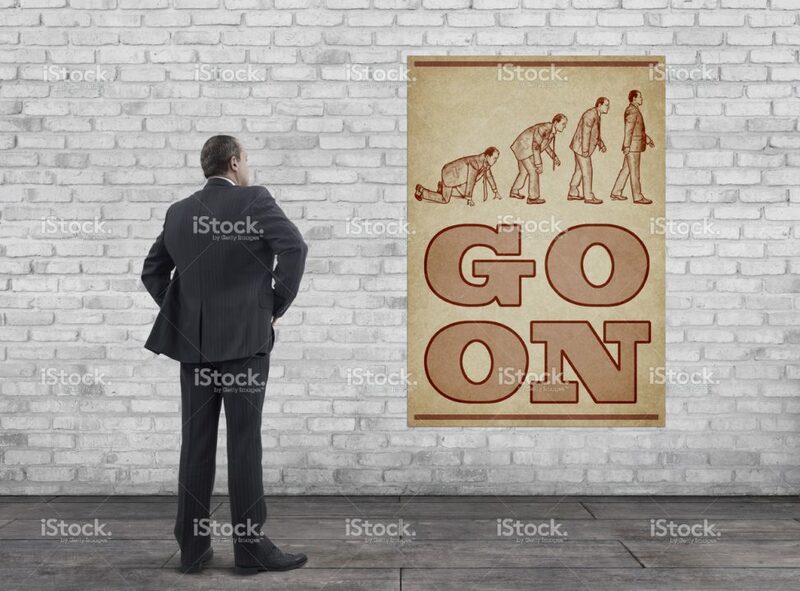 Rear view of businessman standing on wooden floor and looking at the vintage style “GO ON” poster (evolution of businessman illustration, printed on old paper: Improvement process of businessman after financial crisis. This image modeled after well-known evolution theory figure. Same businessman is changing in four steps) on the white brick wall. Note: Evolution of businessman image source, iStock image No:9978173 by mgkaya.